Albany Nanotech Albany Nanotech Albany Nanotech Albany nanotech Albany Nanotech Albany Nanotech AMD AMD AMD AMD AMD AMD Advanced Micro devices Advanced micro devices Advanced micro devices New York new york New york new York New York aerial photos architectural photos www.photosfromonhigh.com/sematech.htm The College of Nanoscale Science and Engineering of the University at Albany is the first college in the world dedicated to research, development, education, and deployment in the emerging disciplines of nanoscience, nanoengineering, nanobioscience, and nanoeconomics. 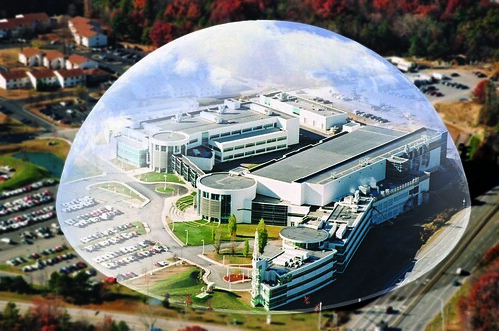 CNSE’s Albany NanoTech Complex – a $4.5 billion megaplex that has attracted over 250 global corporate partners – is the most advanced research complex at any university in the world. (Nanowerk News) The College of Nanoscale Science and Engineering ("CNSE") of the University at Albany today announced plans to host a Job Fair to assist M+W Zander in building its project management team to support the construction of GlobalFoundries’ computer chip manufacturing facility in Malta. The Job Fair, to be held on Wednesday, June 10 from 5 to 8 p.m. at CNSE’s Albany NanoTech Complex, will help recruit candidates for 40 high-tech design and construction management positions, including electrical and mechanical designers, engineers and estimators; construction and design project managers and coordinators; architectural project managers, planners and interns; and, accounting, purchasing, document control and administrative personnel. The positions carry salaries that range from $40,000 to more than $100,000 annually. Officials from M+W Zander will be on hand to accept resumes and conduct initial interviews on site, with representatives of CNSE also providing assistance at the event. This marks the fifth high-tech job fair to be held at CNSE in just the past three years, with previous events in May 2006, January 2007, September 2007 and October 2008. Candidates interested in attending and interviewing at the Job Fair are encouraged to pre-register online by visiting cnse.albany.edu/events/jobfair2009.html. Assembly Majority Leader Ron Canestrari said, "That still another Job Fair is necessary to fill these high-tech positions is a great testament to the investments made in the rapidly growing nanotechnology sector in the Capital Region and New York State. I hope local residents will take full advantage of this opportunity to learn more about exciting careers in the nanotechnology industry." Assemblyman John J. McEneny said, "The investments in nanotechnology are once again paying dividends in the form of exciting new high-tech career opportunities for residents of Albany and the Capital Region. It is an enormous source of pride to know that New York State is leading the worldwide nanotechnology revolution, which is creating new jobs and attracting new investments." Rick Whitney, President and CEO of M+W Zander U.S. Operations said, "It is a pleasure to work in partnership with the UAlbany NanoCollege, the world leader in nanotechnology education, research and development, as M+W Zander builds its construction management team to support GlobalFoundries’ world-class computer chip manufacturing facility at the Luther Forest Technology Campus. As a company that works on high-tech projects and facilities around the world, there is no question that the Capital Region and New York are recognized globally as the place to be for nanotechnology." Dr. Alain E. Kaloyeros, Senior Vice President and Chief Executive Officer of CNSE, said, "With the vision, leadership and support of Speaker Silver, Assembly Majority Leader Canestrari, Assemblyman McEneny and the New York State Assembly, M+W Zander has become a valuable partner in building high-tech facilities that are critical to New York’s global leadership in nanotechnology education, research and development, and economic outreach. The UAlbany NanoCollege is pleased to host this Job Fair, which will provide exciting career opportunities for local residents, and ensure that M+W Zander has a highly skilled management team in place to build GlobalFoundries’ state-of-the-art computer chip manufacturing plant." With headquarters in Stuttgart, Germany, M+W Zander is one of the world’s foremost companies for the design and construction of high-tech buildings and cleanroom facilities for research and development, pilot manufacturing, manufacturing, and assembly and testing operations. M+W Zander’s Northeastern U.S. headquarters is located at the Watervliet Arsenal, where it employs more than 250 people. The M+W Zander Group offers its customers worldwide integrated life-cycle solutions for high-tech production plants and infrastructure complexes including all necessary service and modernization support. The customer base focuses primarily on leading electronics, photovoltaic, pharmaceutical, chemical, automobile and communication companies, as well as research institutes and universities. The company ranks among the market leaders in various market sectors which include semiconductors, photo-voltaics and pharmaceuticals. MWZ Group GmbH, Stuttgart, manages the global activities of the group as a holding company. The group has three main divisions based on Facility Solutions, Process Solutions and Product Solutions which together generated 2008 revenues of $2.32 billion with a workforce of approximately 4,500. Next Next post: Scrap Mechanic #393 DOM MONSA !! !